The concept of “Lean” is not new and has different meanings: “do more with less”, “process optimization”, “resource efficiency”, “productivity improvement”, “increased throughput”, “just in time”, “waste elimination”, “Kanban”, “seiri, seiton, seiso, seiketsu, and shitsuke (5S)” (aka sort, systematic arrangement, shine, standardise, sustain), “A3”, “Kaizen”, “systems to prevent errors (poka-yoke)”, “Design for Manufacture and Assembly (DFMA)”, “cross-functional teamwork (Obhaya)”, “learning organization“, “knowledge management“, “people-process-technology“, etc. 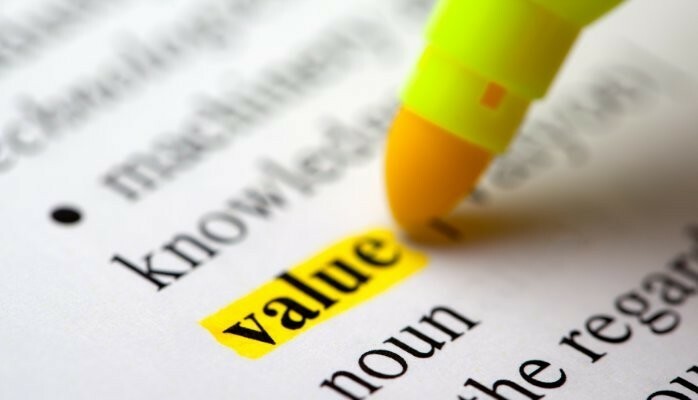 Value, from the Lean perspective, is a capability provided to a customer at the right time at an appropriate price, as defined in each case by the customer. Identify value: specify what create most value from the standpoint of the end customer. Map the value stream: identify the key value-added steps in the value stream, reducing or eliminating the non value-added (NVA) activities (waste). Create flow: define the tight sequence of value-creating steps so the product will flow smoothly toward the customer. Seek perfection: optimize the flow by removing waste. Focusing on long term rather than short term profits. Putting voice of the customer at the centre. Exposing issues so that they get resolved. Optimizing production and avoid over-production. Creating a culture of immediate problem resolution and first time on-quality. Empowering employees to standardise and improve tasks and processes. Using traceable visual control metrics. Following best practice and proven methodologies. Sharing knowledge and coach others. Respecting others, suppliers and partners, encouraging cooperation and continuous improvement (Kaizen). The Lean enterprise differentiates between waste that is completely unnecessary (such as rework to fix a mistake) and essential non value-added activities (ENVA) (such as regulatory requirements and some management activities). These ENVA activities can be considered as ‘necessary waste‘ which should minimized or potentially outsourced. Toyota has gone to great lengths to put a direct understanding of customer value in the hands of the people who need it most. What does Lean mean in a Product Development organization? How can a company optimize its Product Development Life-Cycle (PDLC) (aka NPDI and PLM) processes to improve throughput (get more products out of the door, faster) and productivity (do more / better with same or less resources)? Platform Strategies to improve flexibility, modularity and agility. Supplier Integration in Design of key components early in Product Development cycle for faster responsiveness and results. Extensive (Re-)Use of Lean Techniques from Lean manufacturing to Lean Product Development. Lean Operations to create product development value by enabling companies to do MORE things BETTER, FASTER and/ or cheaper than before. Toyota’s new factory will be 25% smaller than existing plants, require 40% less investment and emit up to 55% less CO2. Toyota’s standard line will be able to shrunk from a 100,000 car-per-year capacity to just 50,000 cars, or vice versa […] to allow capacity to be easily reduced or increased depending on demand. Toyota’s engineers say the new lines will be 40% cheaper to build and use 40% less energy. The new factories will also be powered by a number of different energy sources using a new ‘Factory Energy Management System’. Roos D, Womack J, Jones D (1991) The Machine That Changed the World: The Story of Lean Production, Harper Perennial. Womack J, Jones D (1996) Lean Thinking. New York: Simon & Schuster. This post was originally published on LinkedIn on 14 June 2015.